*it's a pretty long review. "A 'happiness project' is an approach to changing your life. First is the preparation stage, when you identify what brings you joy, satisfaction, and engagement, and also what brings you guilt, anger, boredom, and remorse. Second is the making of resolutions, when you identify the concrete actions that will boost your happiness. Then comes the interesting part: keeping your resolution." 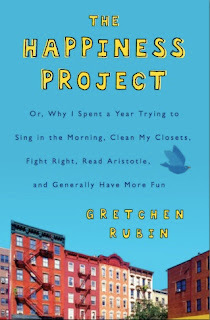 This book is a happiness project made by Gretchen Rubin, what she tried to change in her life and what she learned. She created a 12-month project, with different resolution in each one. In this book, the 12 areas she wanted to cover for her happiness project: Vitality, Marriage, Work, Parenthood, Leisure, Friendship, Money, Eternity, Books, Mindfulness, Attitude, and Happiness. 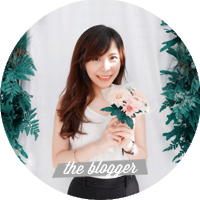 She constantly remind the readers that her happiness project may differ from our needs. But her happiness project is trying to inspire people in trying to be happier. As a person, Gretchen Rubin consider herself as a happy person and she has a good life. But with this happiness project, she wanted to appreciate it more, be more grateful, not complaining too much. If she felt happier, she would behave better. Out of the 12 resolutions she had, this review will only summarize some of them, so not to make this review too long. The resolution for February is about Marriage: Remember Love. As a wife, Gretchen wanted to quit nagging, not expecting praise or appreciation, fight right, and give proofs of love. Her relationship with Jamie (her husband) is one which she's most likely to behave badly. She easily blames him for things that went wrong. And so February (known as the month of love because of Valentine's Day), is dedicated to change Gretchen's attitude in her relationship and marriage. "Love is a funny thing. I'd donate a kidney to Jamie without a moment's hesitation, but I was intensely annoyed if he asked me to make a special stop at the drugstore to pick up shaving cream." May is about Leisure: Be Serious About Play, which focus on the activities she did in free time, for her own sake, and own reason - not for money or ambition. Many times, people focus too much on work and doesn't give themselves the time to have fun. The steps of being serious about play is to find more fun, take time to be silly, go off the path, or start a collection. In this month, Gretchen started finding out her passion for children's books and even made a reading group. Aside from her own experience, there are also responses from other people written about finding leisure. The next one is June, in which it talks about Friendship: Make Time for Friends. It is said in the book that contemporary scientists to ancient philosophers agrees that having strong social bonds is probably the most meaningful contributor to happiness. Which is why, making time for friends is essential in improving happiness. Gretchen resolute to remember birthdays, be generous, show up, don't gossip, and make three new friends, as a way to improve her social bonds. In this part, Gretchen also made a checklist on how to make a good first impression. "One day - I was about 34 years old - it dawned on me: I can DO ANYTHING I want, but I can't DO EVERYTHING I want. Life-changing." "I certainly get more satisfaction out of thinking about good deeds I've done for other people than I do from thinking about good deeds that others have done for me. It's a Secret of Adulthood: Do good, feel good." The last one for this review is November, the month for Attitude: Keep A Contented Heart. After 10 months of focusing on actions, in this month Gretchen wanted to focus on her attitude. She wanted to have a light-hearted, loving, and kind spirit - which she tried to do by laughing out loud, use good manners, give positive reviews, and find an area of refuge. She also explain about individual's personality which are categorized into the 'Big Five' model, and observed herself. With this, reader can also observe themselves while reading and finds out which part of ourselves needed to be fixed. "It's easier to complain that to laugh, easier to yell than to joke around, easier to be demanding than to be satisfied. Keeping 'a heart to be contented,' I expected, would help change my actions." "Happy people generally are more forgiving, helpful, and charitable, have better self-control, and are more tolerant of frustration than unhappy people, while unhappy people are more often withdrawn, defensive, antagonistic, and self-absorbed. Oscar Wilde observed, 'One is not always happy when one is good; but one is always good when one is happy.'" Before reading this book, I've never heard of Happiness Project. Until one time, Nichkhun from 2PM talked about this book in his timeline, and my friend (who's a huge fan of 2PM) asked me about the book. She said it sounds like a great and inspiring book, so I thought I'd give it a try. It turns out this book has given me so many inspirations and motivation for my life. Even though I haven't got married yet, and couldn't relate with some of Gretchen's resolutions, there are so many great things written in this book. Her resolutions made me want to change my life, and make myself a happier person. Like Gretchen, I myself feels like I'm a pretty happy person already. 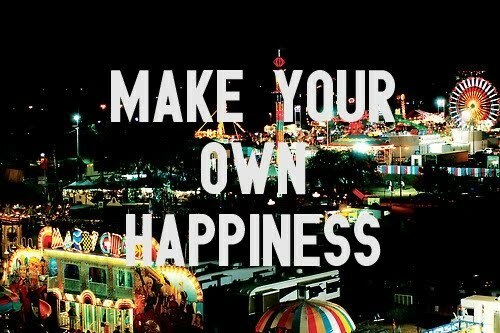 But I know I can make myself a lot happier if I change some of my attitude towards life. There are so many parts in this book that made me think and reflect upon my own life and happiness. Even though I'm generally a happy person (a lot of people say that to me, and always think that I'm trouble-free. Huh, who in the world is trouble-free anyway? ), it seems like I didn't think about my life enough. One of my most favorite part about the book is Secrets of Adulthood - which are things we discover as we get older. Gretchen wrote her lists of Secrets of Adulthood, such as: You don't have to be good at everything, soap and water remove most stains, don't let the perfect be the enemy of the good, and many more. I really wanted to make my own list of Secrets of Adulthood, because there are really so many small things that I just discovered when I got older. And in this book, the author wonders about her good fortune in life; and what if some people who are facing major happiness trial - such as illness, job loss, divorce, addiction, or depression - might be put off by her happiness project. She wonders if they think "Who is she to talk about happiness when everything in her life is fine" - which is also what I think about when I read this book. There are several blog comments copied to this book, and they agreed that even those kinds of people must try to go and achieve their happiness. "For me, when things are going well, and I am happy, I don't think about happiness too much. It's when I start to become unhappy or depressed that I concentrate on it more and try to think of ways to improve it." "The 'fundamental attribution error' is a psychological phenomenon in which we tend to view other people's actions as reflections of their characters and to overlook the power of situation to influence their actions, whereas with ourselves, we recognize the pressures of circumstance. When other people's cell phones ring during a movie, it's because they're inconsiderate boors; if my cell phone rings during a movie, it's because I need to be able to take a call from the babysitter." This book's perception about the relation of money and happiness also interests me. There are proofs of research that really fascinates me - how money (and pride) give tremendous effects to people's lives. There's also about mindfulness - which I didn't get to summarize - in which it talks about contemplating the heavens. I really really want to share all the beautiful quotes I found in this book to everyone, but I think this review is already getting too long. So I'll probably just stop. 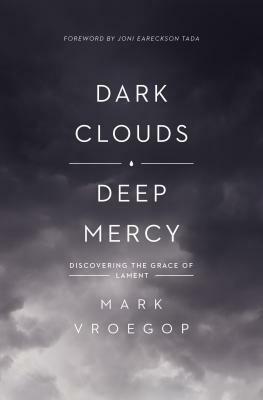 "So often, it's only after some calamity strikes that we appreciate what we had. "There are times in the lives of most of us," observed William Edward Hartpole Lecky, "when we would have given all the world to be as we were but yesterday, though that yesterday has passed over us unappreciated and unenjoyed." "Refusing to be happy because someone else is unhappy, though, is a bit like cleaning your plate because babies are starving in India. Your unhappiness isn't making anyone else happier - in fact, quite the opposite, given the fact that happier people are more likely to act altruistically." ♥♥ love this one. "The belief that unhappiness is selfless and happiness is selfish is misguided. It's more selfless to act happy. It takes energy, generosity, and discipline to be unfailingly lighthearted, yet everyone takes the happy person for granted."